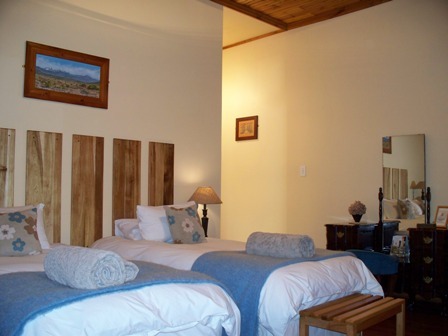 self-catering accommodation, in the Fisherman's Cottage. Must-sees include the Somerset East Biltong Festival in July . The Somerset East area is rich in flora and fauna, with 4 biomes and over 300 bird species! A 90 metre waterfall, wild fly-fishing in the karoo and adrenalin filled gorge gliding and abseiling make it ideal for adventure seekers.